As the self-titled ‘ultimate plug-and-play system’, Clickbank Pirate says we can all benefit from turnkey systems and earn thousands of dollars per month. According to their website, we can make significant sums of money, $10,000 per month in fact, without even requiring a website. We know what you’re thinking – ‘we’ve heard this all before and we thought it was about time platforms like this stopped trying their luck’. Well, Clickbank Pirate hasn’t read the memo and they’re promising all users a great amount…but can they deliver? 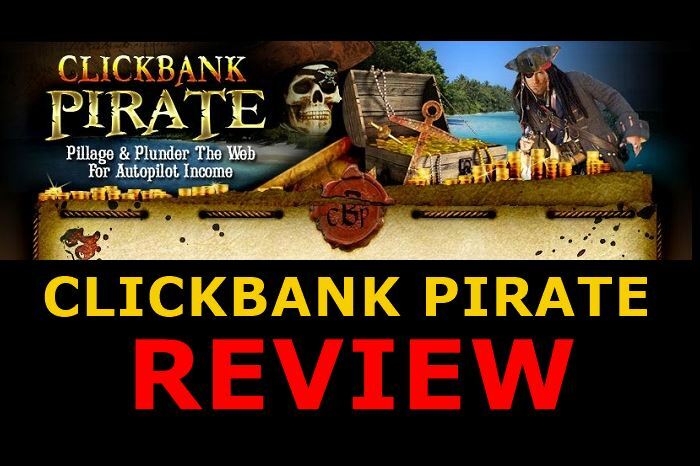 Below, we’ve created an honest Clickbank Pirate review! 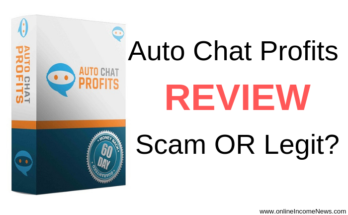 Autopilot Income Within 15 Minutes – Firstly, from the minute you sign up to Clickbank Pirate and everything has been confirmed, they say it takes just 15 minutes for you to start generating autopilot income. In truth, we don’t believe even the best experts in the industry can offer this sort of turnaround time so we’re unsure as to why Clickbank Pirate believe they can offer a service this quick. $10,000 Per Month Earnings – Not only do they claim you can earn this amount of money, but they also say you can do so without a product or website. For the product, this isn’t so important because we support legitimate affiliate marketing solutions that claim the same thing. However, having no website is a different proposition entirely. How does it work? Everything You Need – Rather than you building your own website, Clickbank Pirate says they’ll handle everything on your behalf. As well as hosting, and it’s normal to have a platform dealing with this aspect, they say you’ll also receive a website and autoresponder. One of the concerns we’re going to explore later is the level of service you’ll receive considering you’ll be paying the same as many others who use the service. 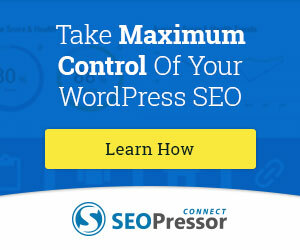 Will your website and auto response system be set up the same as all the others? No Need to Sell – What’s more, Clickbank Pirate also claim that all you need to do is give away free reports; from here, they do the selling on your behalf. Once again, they’re allowing you to enjoy the sunshine outside while they earn money for you. 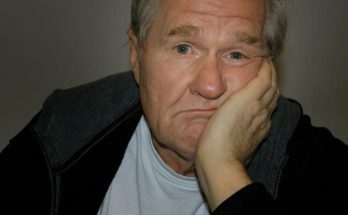 Continuous Content– As part of the ‘we’ll handle your website’ package, this includes 20 blog posts every single month. If all this were to be true at this point, we would be describing the dream platform for anybody looking to make some money online. Five Turnkey Packages Per Month – As the cherry on top of the cake, Clickbank Pirate say all members will receive five turnkey packages for every month they pay. This package will include blog posts, templates, and articles. If we were to explain all these features to somebody who had never used the internet before, they would probably bite our hand off and ask when they can start. However, our experience in the industry has taught us that if something sounds too good to be true then it probably is. What are our main concerns in this Clickbank Pirate review? As a general rule, we don’t like it when a platform makes huge promises…because this normally means they can’t deliver. If there was really a solution that makes $10,000 a month, everybody would be attempting it and we’d have nobody doing anything else. For the very best services, they don’t make huge promises like this because they know how difficult it can be to make money online. Furthermore, we’re also concerned by the conflicting information they seem to provide. While they say you don’t need a website, they then proceed to explain that all users will be provided with turnkey websites. With this conflicting claim, they make it really hard to trust them. After this, one of our biggest concerns actually comes with the services they promise. On the face of it, having hosting, the website, and content done for us seems like a benefit. However, for the price they’re charging (just under $40 per month), we don’t believe they’re going to make everything unique for every single user. We’re worried websites will look identical, blogs posts will be churned and reused, and the autoresponder will also follow a pattern. If we focus on the done-for-you blogs, in particular, search engines are paying very close attention to the content a website holds at the moment. 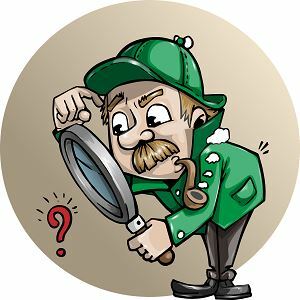 If you aren’t publishing the very best, unique content, there’s no way you’re even going to make a dent in the search results. Going one step further, the likes of Google will even punish the website and make sure it doesn’t rank. We’ve been rather negative in this Clickbank Pirate review so far, so do they offer any benefits? Firstly, they do offer a 60-day money-back guarantee and this is ideal considering the nature of the platform. If you pay your $67 (or $37 with the ‘special VIP member’s discount’) and then decide the platform isn’t for you, the refund is easy to request and many previous customers have noted their speed in providing these refunds when necessary. This is something many platforms choose not to include, and it only reduces trust in a brand. Secondly, we can also be positive about Clickbank Pirate’s sales funnel templates. Although there are a number of problems with this platform, the templates are worth your attention and can be used in your own venture within the industry. When it comes to profitable funnels, what works…works. What we mean by this is that you don’t need to find another way when people have already done the hard work on your behalf. From the sales pages they do create, there’s nothing wrong with learning a few lessons and taking the knowledge forward. Summary – Do We Recommend The Platform? In this Clickbank Pirate review and every other review we provide, we always look to provide information that’s genuinely valuable. By showing the pros and cons of a service, you can see whether a platform meets your needs. For example, you might find one where the drawbacks just don’t apply to your position. With Clickbank Pirate, our honest suggestion would be to avoid the platform because there are too many concerns and problems. The cons outweigh the pros in this case, and we couldn’t possibly recommend a platform that makes us nervous in the claims they make alone. We’re sure there are people out there making $10,000+ per month but they didn’t reach this point without lots of hard work and without starting several websites of their own. If you really want to make money online, you’ll need to invest your time and you’ll need to learn how everything works. For the likes of affiliate marketing, you’ll need unique websites (not mass-produced pages), you’ll need valuable content (not spun articles and blog posts), and you’ll start with little income before building up your business. All things considered, we DO NOT recommend Clickbank Pirate and we believe there are much better options available in the market! 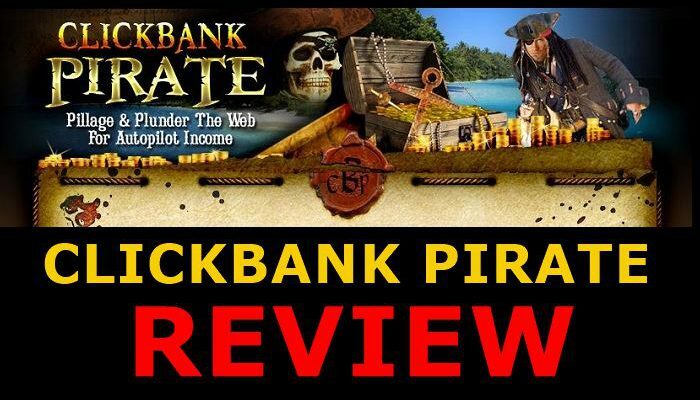 I hope you enjoyed this Clickbank Pirate Review if you have any questions or you just want to leave your own personal experience, leave a comment below. I would love to hear from you! Thank you Moni for this review. I get e-mails from Clickbank all the time that promotes stuff like this. Every time I see a review like this I love to read it so I don’t do the mistake myself. Hi Altered Soul, thank you for stopping by and taking the time to leave a comment. I too get many emails for Clickbank products and in a way, this is good for me as I have a chance to review the products for this site. Sadly, too many products make bold claims but can’t deliver! Great review of Clickbank Pirate Moni! I agree that this is totally a scam. 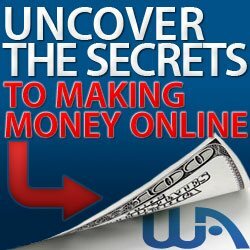 For those just starting out looking for an online way to make money, they might just jump right in and give this a try. 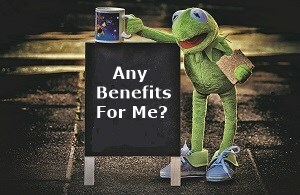 However, anyone that offers loads of money with little or no work, we know is a scam. Thanks for sharing this in hopes that more and more people will not be scammed. It is my hope that more people will read about these types of products and be aware of them so they don’t get scammed. Sadly, most of the people who get scammed are the people who can least afford to lose money! Hi moni, interesting write-up about clickbank pirate. Initially I thought CP is related to clicbank / clickbank university. I do agree with your point about the platform being “too good too be true” because the platform promises too much and made the whole idea of earning from the internet “too easy”. I think it will lure some members who’s looking to make some quick buck without related earning money from the internet is just as hard as earning from the physical world. Wealthy affiliate is definitely a legit platform for anybody who’s looking to learn all of the fundamentals to create a sustainable income from the internet itself. And it’s only suitable for those who believe hustling and grinding smartly Will pay off instead of searching some “turnkey platform” that has nearly everything automated. Plus the monthly subscription fee for wealthy affiliate is AFFORDABLE for most entrepreneurs. Even the starter membership is sufficient to draw the whole picture for what WA has installed for its members. Proud to be part of wealthy affiliate! Hi Chris, thank you for stopping by and taking the time to comment. Sadly, a lot of people are so desperate to make money they get emotional and believe maybe this product will make them rich. The truth as you quite rightly say is making money online or offline is hard. It requires hard work and patience. To succeed online requires 3 things, Education, Websites, and Expert Help. If you have access to these 3 things and you are prepared to work hard then success is only a matter of time. Wealthy Affiliate is one such training platform that provides the 3 things I mentioned and the best part why we highly recommend this platform is that people can start with a FREE Starter Membership and have full access to the platform to see if it’s right for them. Hi Moni, looks like I’m steering clear of this one. Thanks for the review, I’m gonna direct my money somewhere more productive! Hi Christian, thank you for stopping by and taking the time to comment. Wise decision to stay clear of this program. Thanks for the review! I appreciate how much information you were able to provide about their claims. I think it’s easy to dismiss sites that make big claims without actually considering them. It is promising that they offer the money back guarantee, however I agree that I don’t think I would go for it. Sounds far too good to be true! Hi Amber, thank you for stopping by and taking the time to comment. I appreciate your kind words. I am sure you know the saying, “If it sounds too good to be true, it probably is”. Good decision to steer clear of this one.